When Indian fans cursed their players and burned posters in anger for losing the crucial Champions Trophy to Pakistan, cricketers of both teams were sharing a couple of jokes, leaving the animosity and aggression in the cricket field itself. A few things happened soon after the finals which gave the message which showed the spirit of the game. While fans fought over their heroes, the heroes showed the world, that they were more than just heroes in the playing field. The video was a refreshing site, not only because it was to do with two archrivals, but because it also involved one of the cricketers, often criticized for his on-field aggressive behaviour. 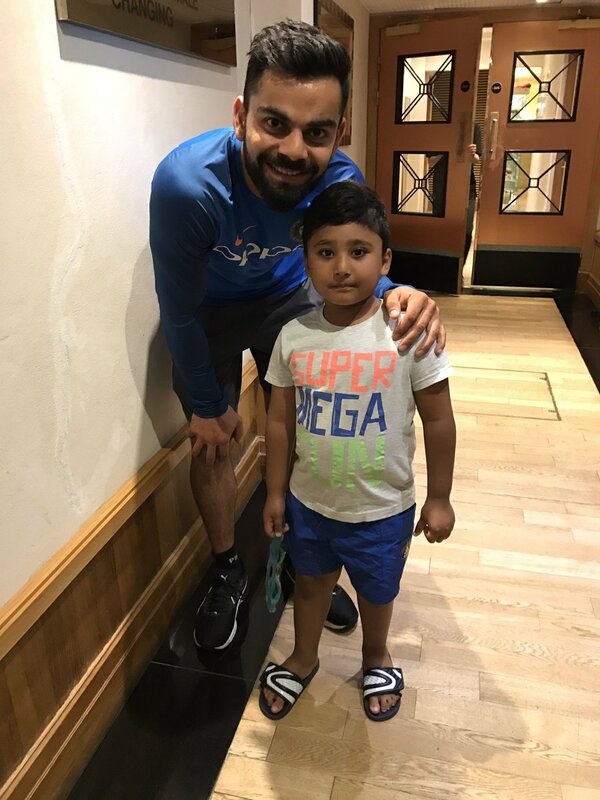 Another instance was when Pakistani player Azhar Ali thanked Kohli, Mahendra Singh Dhoni and Yuvraj Singh for posing with his children. He had also posted the respective photographs which went viral on all social media platforms, garnering positive responses from fans of both countries. Almost everyone hates the guy for what he does in the field. Not for his batting or bowling, but for the aggression that he shows on the ground at times. However, there is also another side to this cricketer, sides that have brought out some heartwarming moments over the years. His statement the post match presser, where he praised the Pakistani team for a stellar performance, and the manner in which they turned things around despite being ranked at number 8, was well received by players, fans, and critiques alike. no one would forget the last test match of Kumar Sangakkara in August 2015, which incidentally was against India under the captainship of Kohli himself?Sangakkara was given the guard of honour on both innings as he entered to bat by Kohli’s men. 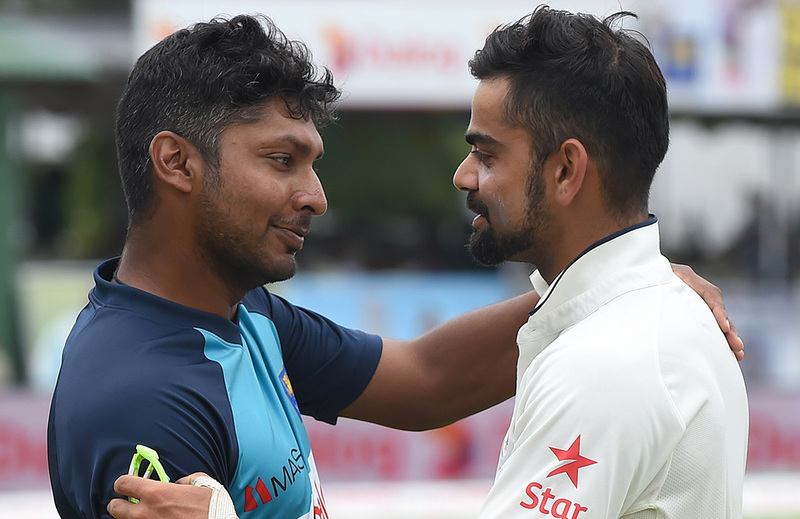 The final dismissal of Sangakkara saw Kohli, without celebrating, running towards the legend and congratulating the batsman for a legendary career. That moment would definitely have sent goosebumps on every Sri Lankan watching the match. Kohli was out of the bowling of Mommad Amir at the final game. But, Amir has a special place for Kohli for something that the latter did soon after Amir’s return to international cricket. received a morale boost when Kohli presented him with a bat during a practice session. There are many more such instances where cricketers had won the hearts of their fans for actions outside the playing field. But it is sad when fans take the competition to a level where the players themselves have to be embarrassed about such actions. Cricket is not just a game. But what happens in a playing field should be limited to its boundaries. If the players can laugh about it, why can’t we?